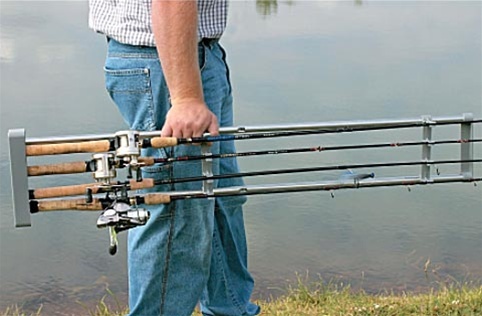 Conveniently stores up to four of your favorite rods in a vertical or horizontal position. 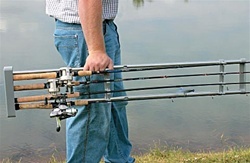 This portable rod tote is designed with flexible mounting clips that easily snap from storage to vehicle to boat. Constructed from durable aluminum and low-density polyethylene, the light-weight rod tote is equipped with adjustable rod brackets and assembles in minutes.